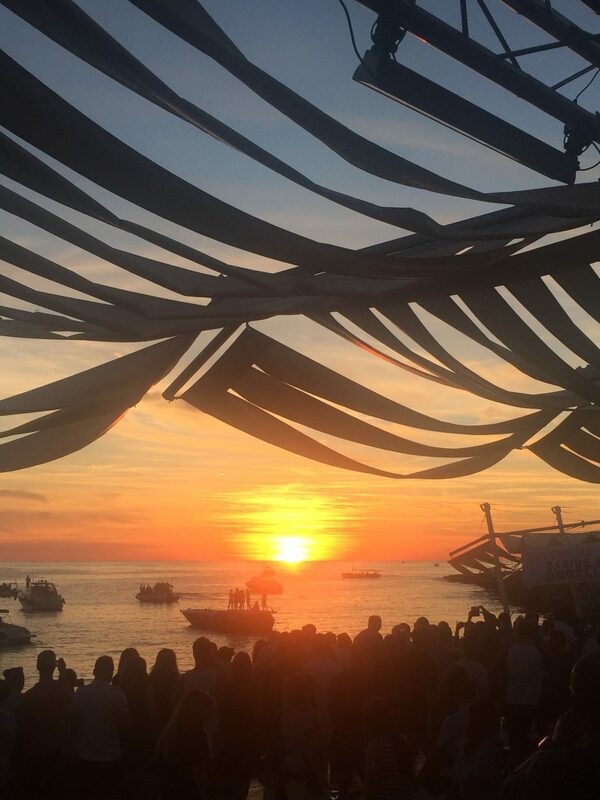 I’m glad we traded our Bossa day to Friday because Sunday we chilled with Nicole, went for a paella, laid out at her pool and then went to Café Del Mar for the sunset. 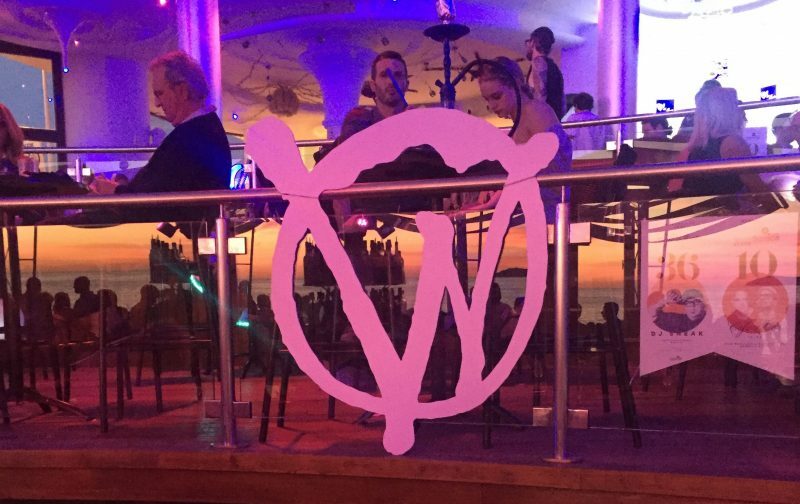 Jamie, a friend of mine from the season in 2013 has a residency with Steve Lawler at Viva Warriors this year and their pre party was at Café del Mar. 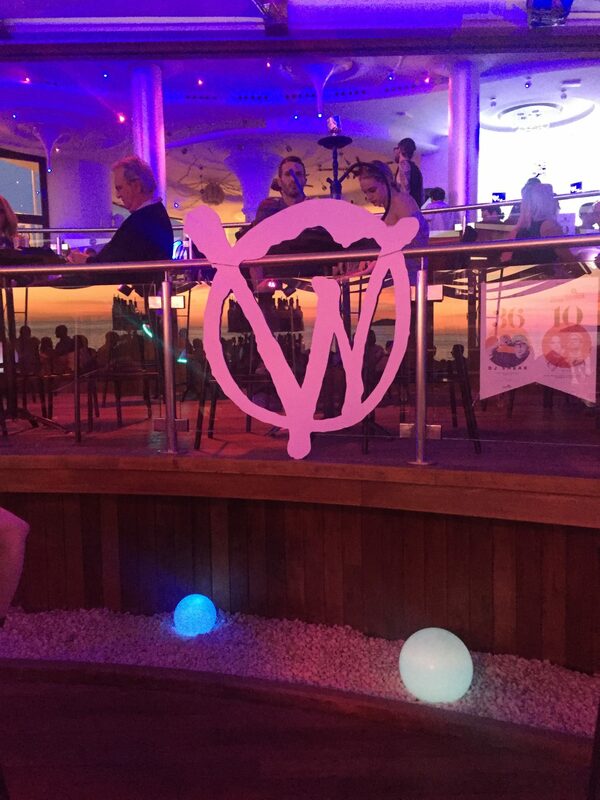 I prefer the atmosphere at Café del Mar over Mambos, its more low key and the outdoor bar area is nicer! 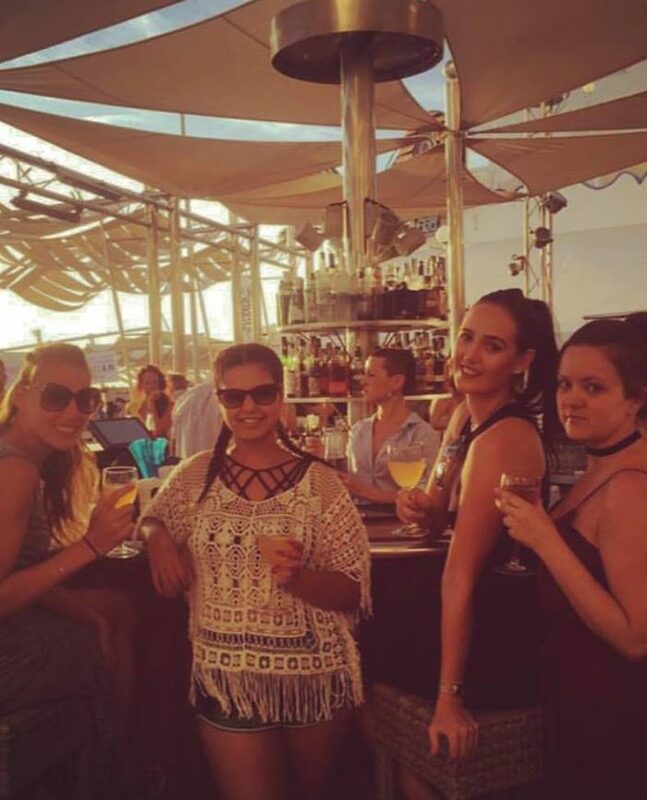 I hadn’t seen Jamie yet this trip so it worked out perfectly for me and the girls to go down. 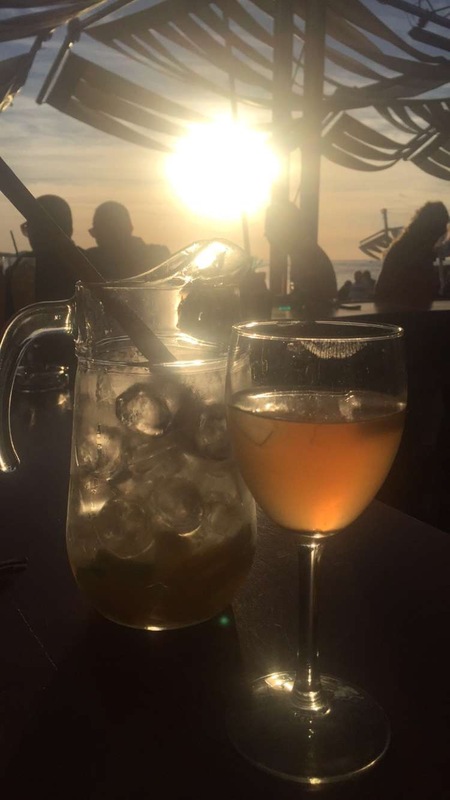 We got a couple of jugs of sangria and watched the sunset whilst Jamie played the tunes! 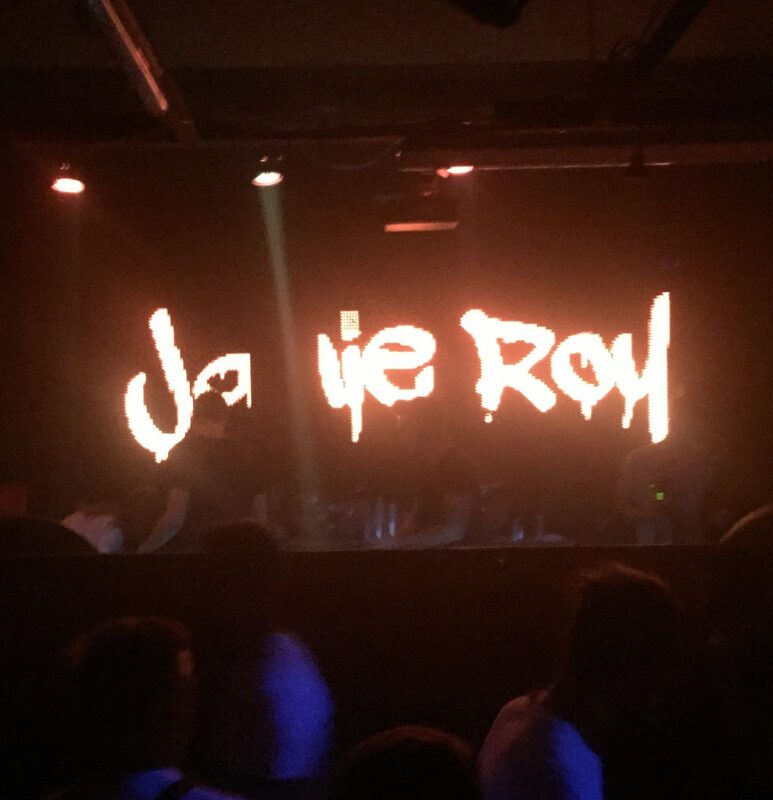 Laura isn’t a huge fan of Sankeys but I wanted to go over to support Jamie as it was opening night. 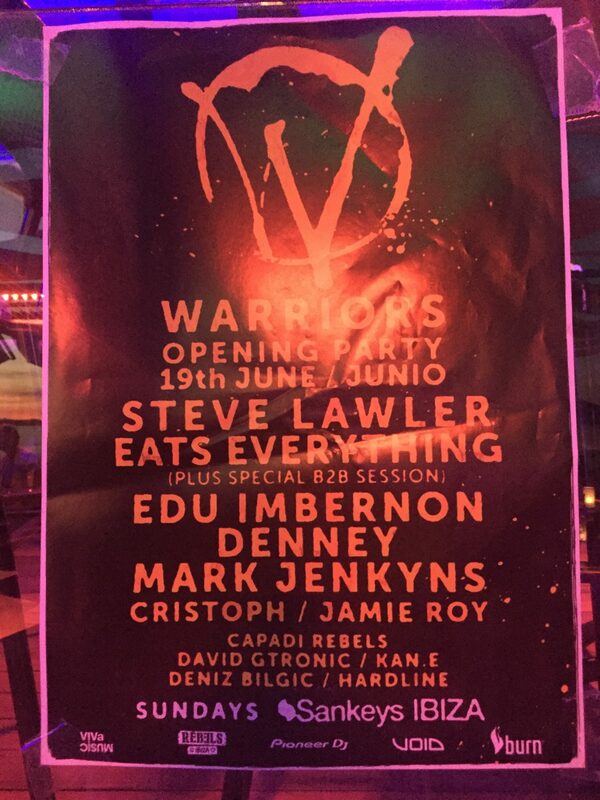 I love Warriors and Skream and Eats Everything were also playing so took the Ibiza newbies. They didn’t last long but I stuck it out to the end with the San An guys. It was really special.